Nic Groom has been playing professional rugby for 11 years. 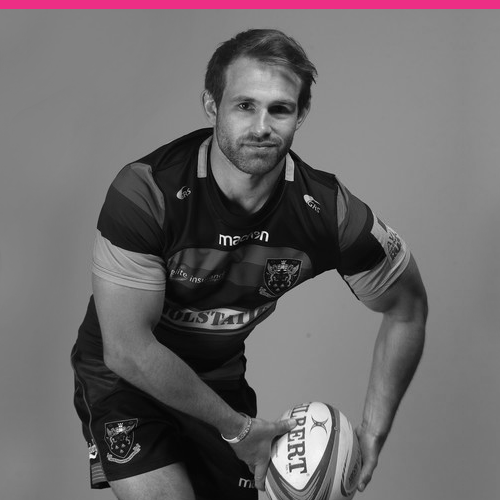 Many will know him as a Stormers scrum half or more famously for his involvement in English Premiership team, the Northhampton Saints. What many don’t know is Nic Groom has a secret weapon when it comes to bettering his performance. Education. Growing up in King Williams Town in the Eastern Cape, Nic Groom struggled substantially to get his rugby career up and running during his younger years. After matriculating he enrolled at Western Province Rugby Institute, but was subsequently not offered a professional contract, making him question whether rugby was truly in the books for him or not. This triggered Nic Groom’s enrolment at UCT to study a Social Sciences degree. To his surprise, within his first year, he was asked to play for the Western Province Under-21 side – the provincial team that would go on to win the title that year. Nic Groom has made sure to use whatever free time he has between games and training to prepare for future after rugby but soon realised he required a much more flexible schedule compared to what was on offer at university. Nic Groom benefited from making learning a priority and practising discipline and time management. The flexibility of his studies also gave him the opportunity to fully commit to two of his passions simultaneously: rugby and learning. Nic Groom made the time to increase his knowledge in preparation for a possible career change. Are you ready to make that career change you’ve been yearning for?